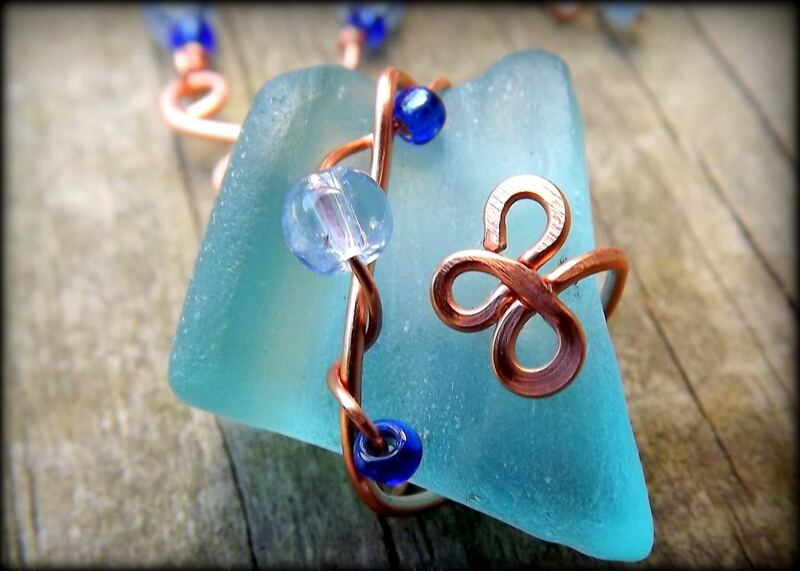 RiverGlass Creations transforms the ordinary into something extraordinary. Husband and wife team, Chris and Jennifer Lawlor, along with their two daughters were walking along the Hudson River when they stumbled upon a rocky beach overlaid with glass fragments. They collected buckets of this glass and began to wonder what they could do to re-purpose it all. This is when RiverGlass Creations was born. 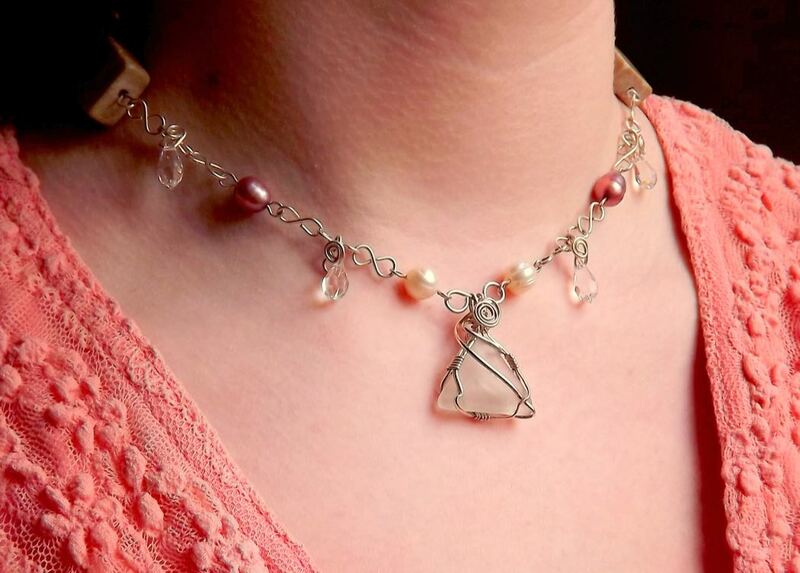 As Jennifer began experimenting and creating her first necklaces, she was discovering the designs that she liked most were classic and graceful. 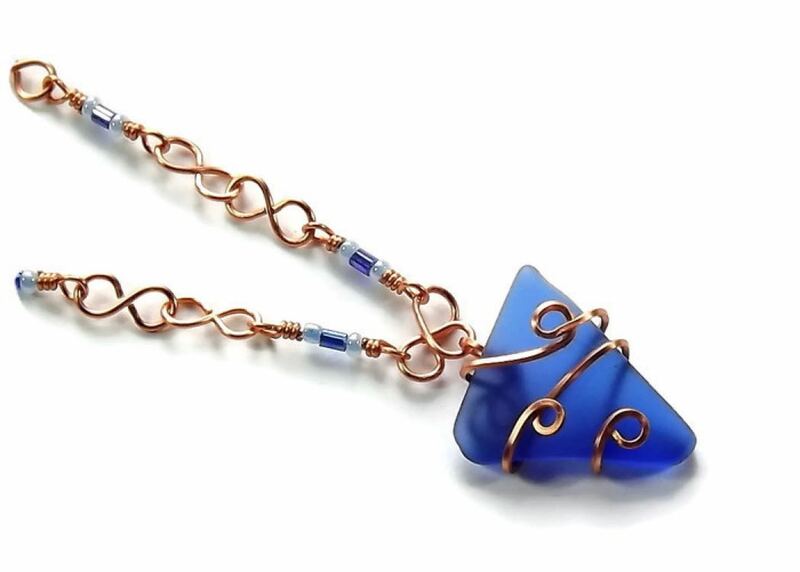 She began working to craft glass pendants that were stunning and exquisite and combined them with Swarovski crystals mixed with natural gemstones, all wrapped in brilliant copper, silver, or gold wire. Jennifer learned that fusing eco friendly with elegance was not only possible, but also desirable. 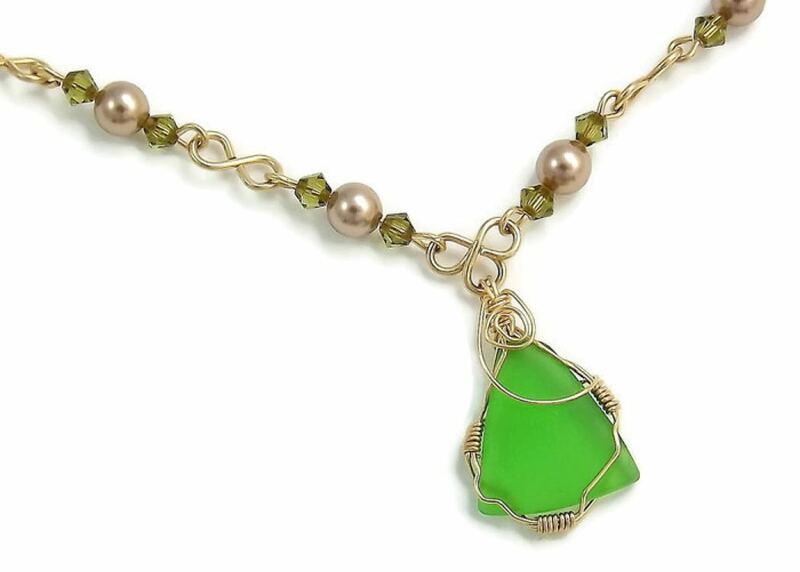 Women enjoy chic, elegant jewelry that makes a difference in the environment and the world. RiverGlass Creations works hard to transform Eco into Elegance by using timeless designs and a perfect blend of sophisticated and re-purposed materials.